The Military Spouse JD Network (MSJDN) is proud to announce that Kentucky has taken a significant step in removing licensing barriers for military spouses residing within its borders. This month, the Kentucky Supreme Court amended its admission rules to include a licensing accommodation for military spouse attorneys accompanying a servicemember on orders to the state. 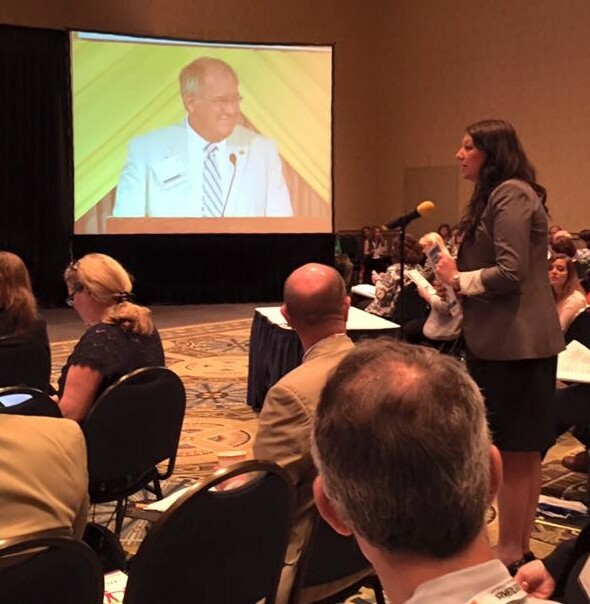 MSJDNer Kaitlin Dean addressing the Kentucky Supreme Court in June 2015 at the open hearing on proposed rules. 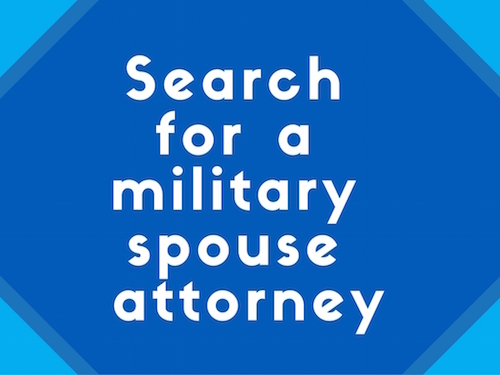 Effective January 1, 2016, Kentucky Supreme Court Rule 2.113 allows a military spouse attorney licensed in another state, in good standing in each jurisdiction where licensed, and living in Kentucky due to a servicemember’s military orders to be licensed on a temporary basis while in the jurisdiction. The provisional admission may be renewed annually up to 4 times. Attorneys admitted under this provision must complete 12 hours of continuing legal education on Kentucky substantial or procedural law no later than 6 months following admission. MSJDN’s efforts in Kentucky developed over several years, starting when military spouse and then-law student JonVieve Hill wrote an Independent Study paper during her last semester of law school on the challenges military spouse attorneys face. A version of that paper ended up in the Louisville Bar Bar Briefs’ November 2014 issue, where it caught the attention of legal leaders in the state. In June 2015, the Kentucky Supreme Court published a proposed rule for discussion during the Kentucky Bar Association Annual Meeting in Lexington. MSJDN President Elect Josie Beets and member Kaitlin Dean spoke during the Annual Meeting and shared the story of military spouse attorneys and the success of similar rules in other jurisdictions. Letters of support for the rule poured in from the Military Officers Association of America, five retired Army Chiefs of S taff, Federal judges, and the Women Lawyers Association of Jefferson County. Led by the University of Louisville Law School, the deans of every law school in Kentucky signed on to a letter supporting licensing for military spouse attorneys. Secretary of State Alison Grimes also tweeted out her support for the rule. The most compelling support, however, came from a Marine veteran attending law school in Kentucky. His wife, an accountant, faced overwhelming licensing issues while trying to maintain her career as the Marine Corps relocated their family around the country. The difficulties she encountered in maintaining a career of her own were a strong factor in their decision to separate from the military. The Marine’s letter put forth a powerful case for Rule 2.113 as a way Kentucky could help the military maintain its best and brightest servicemembers. In addition to the supporters of the new rule, MSJDN members JonVieve Hill, Courtney Pawley Fleck, Kaitlin Dean, and the MSJDN state licensing team should be recognized for their hard work and commitment to removing barriers for military spouses in the legal profession. Military spouse attorneys around the globe celebrate the 15th state to adopt a military spouse licensing accommodation and thank Kentucky for their support of military families!